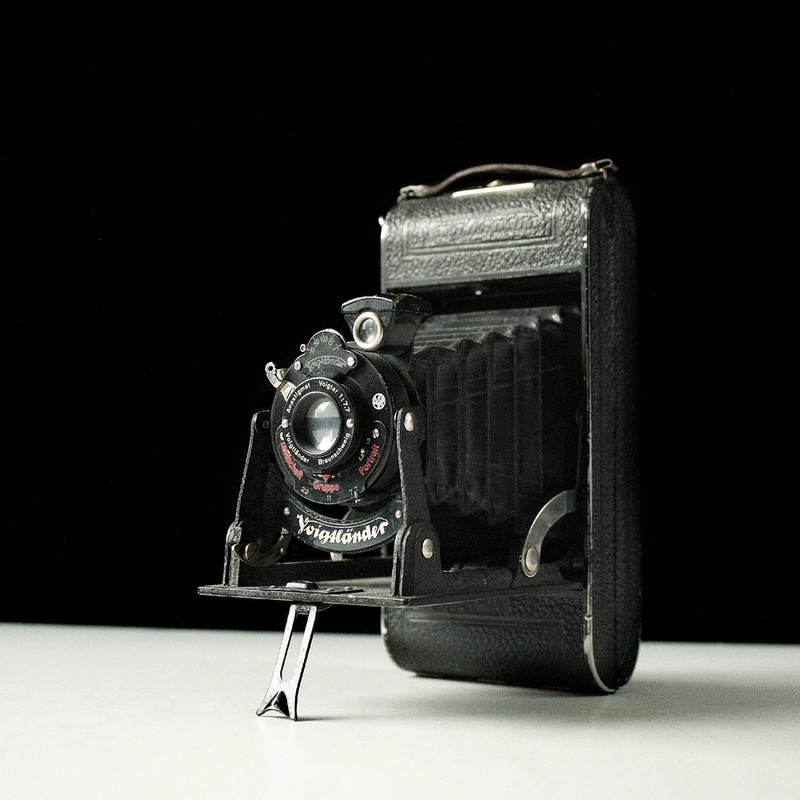 Voigtländer Bessa (1929). This is the FIRST of a multitude of Bessas from the company. Folding bellows style camera has a brilliant viewfinder which is mounted on the shutter & lens assembly and tilts 90 degrees for landscape shots. It is fitted with a Voigtar an f7.7, the first of four lens options (in increasing quality), Voigtar, Vaskar, Skopar, and the Color Skopar. Three indicated focusing options, Landschaft, Gruppe, Portrait (Landscape, Group, Portrait) and 3 distance indicators (0-3, 2-3, 8-infinity in meters). 3 shutter speeds, 1/25, 1/50, 1/100 with ‘B’ and ‘T’. There were also three leaf shutter options (also in increasing quality), Prontor, Compur, Compur Rapid. 1949 gear coupled RF Kodak 35 with an Anastar Special f/3.5 50mm Flash Kodamatic Shutter. 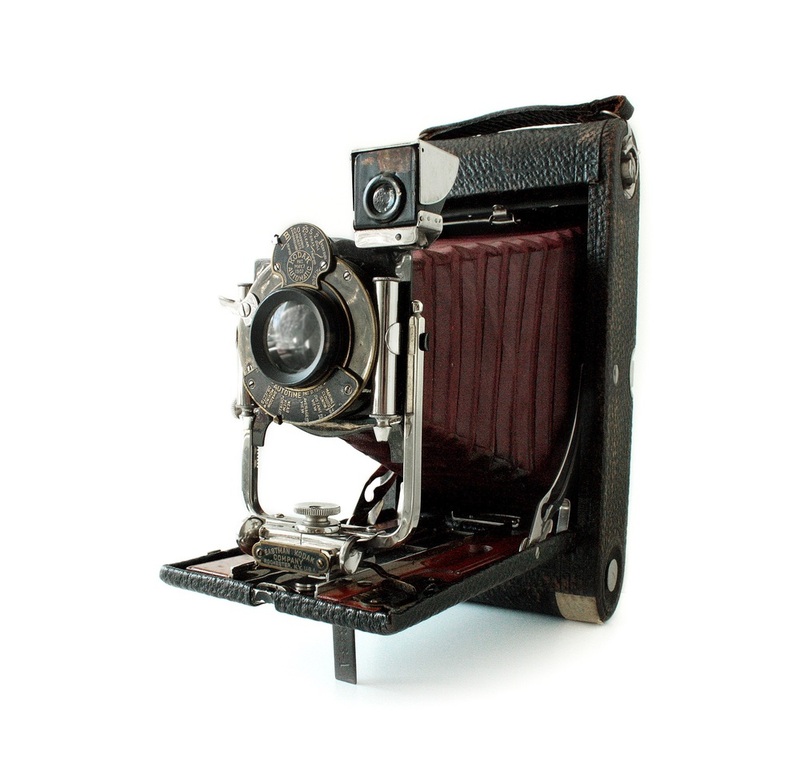 The Kodak 35 Rangefinder is an improved version of the Kodak 35 that was launched by the Eastman Kodak Company in 1938 as their first 35mm camera manufactured in the USA. After two years, they improved the Kodak 35 camera, with a new superstructure housing containing a viewfinder and a separate rangefinder, but without any addition to the identifying inscription on the body. 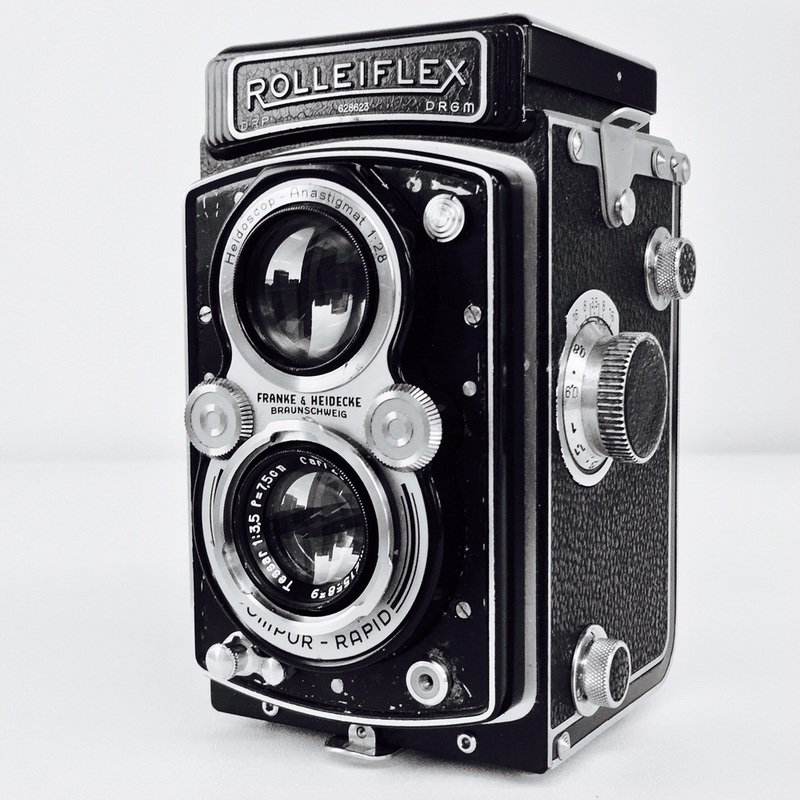 It is generally referred to as the Kodak 35 Rangefinder model. The gear coupled RF version due to the conspicuously placed gear next to the lens front element. 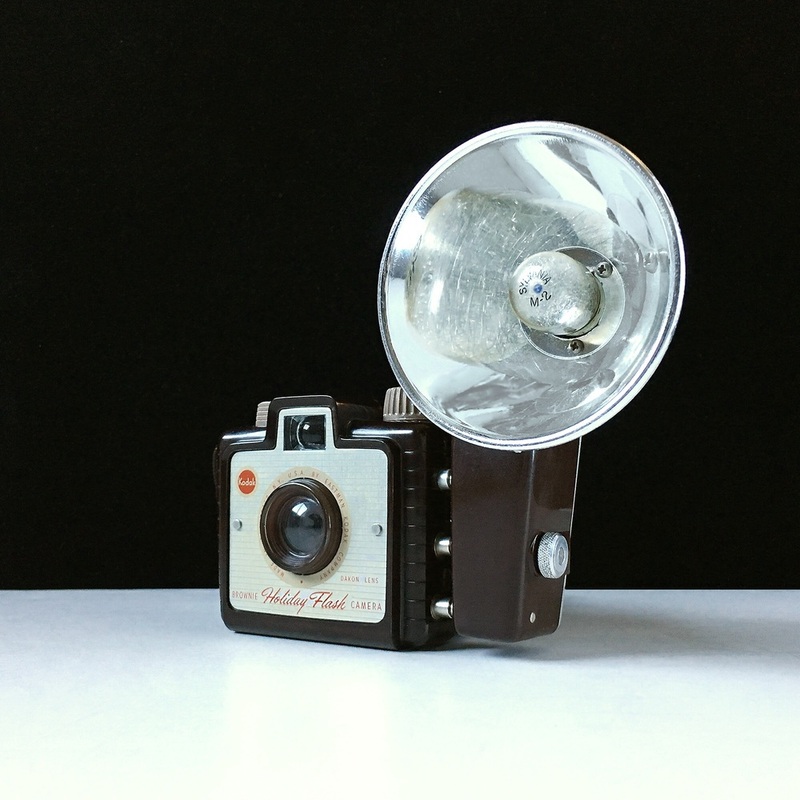 The Imperial Mark XII Flash was made in Chicago by Herbert George. It took 6x6 images on 620 film. The design is very basic, having a fixed-focus, one shutter speed and a single aperture, although it was -of course - available with a flash unit. 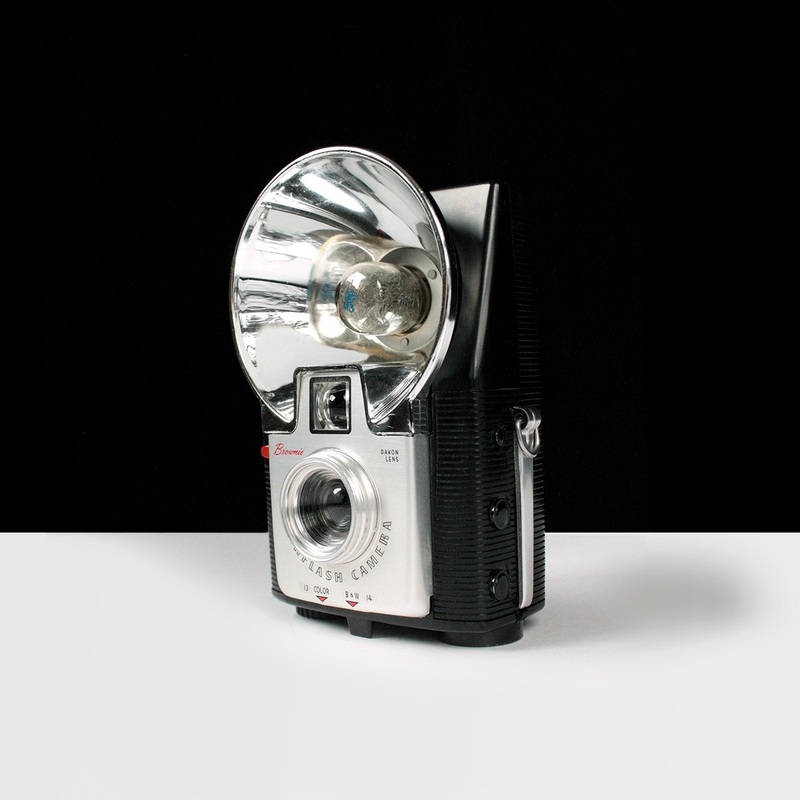 The Kodak Brownie Starflash was one of the Kodak Brownie Star series, made from 1957-1965 in the US and France, featuring a large built-in flashgun. Made in black in the US from March 1957-June 1965, in red from March 1958 - October 1960, in white from March 1958- August 1962, and in blue from March 1958-Feb 1962. There was a special two-tone version with a Coca-Cola logo from October 1959-December 1961. The original design was by Arthur H Crapsey. All were based on a similar layout: the film spools and a light baffle were mounted on a floor, which carried the advancing knob and a latch; the rest of the camera dropped down over this floor/spool assembly. Each model had various combinations of different viewfinder and flash arrangements - some built-in, some external, some with no flash facility. 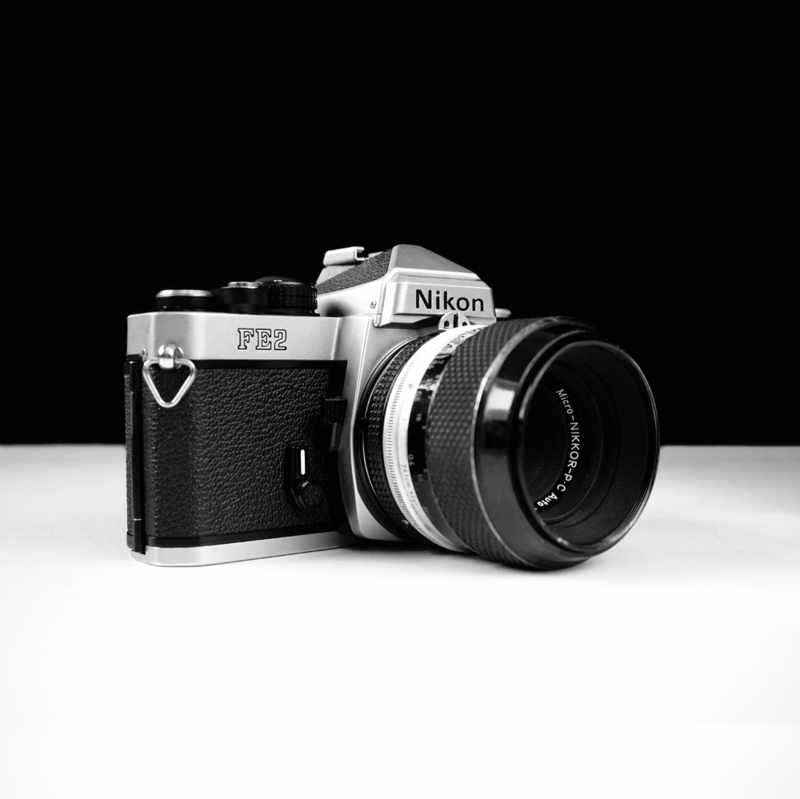 Nikon F2 is a 35mm film professional, mechanical shutter SLR system camera by manufactured by Nippon Kogaku K. K., Japan (Nikon Corporation since 1988), introduced in 1971 using Nikon F mount for interchangeable lenses. It is the successor of successful Nikon F. Instead of an upgrade of Nikon F it is a completely new body only sharing with its predecessor the lenses, some accessories and the philosophy. With finder DP-11, which is the auto-indexing version of DP-1. An auto-indexing finder does not need the lens prong to indicate the aperture setting. 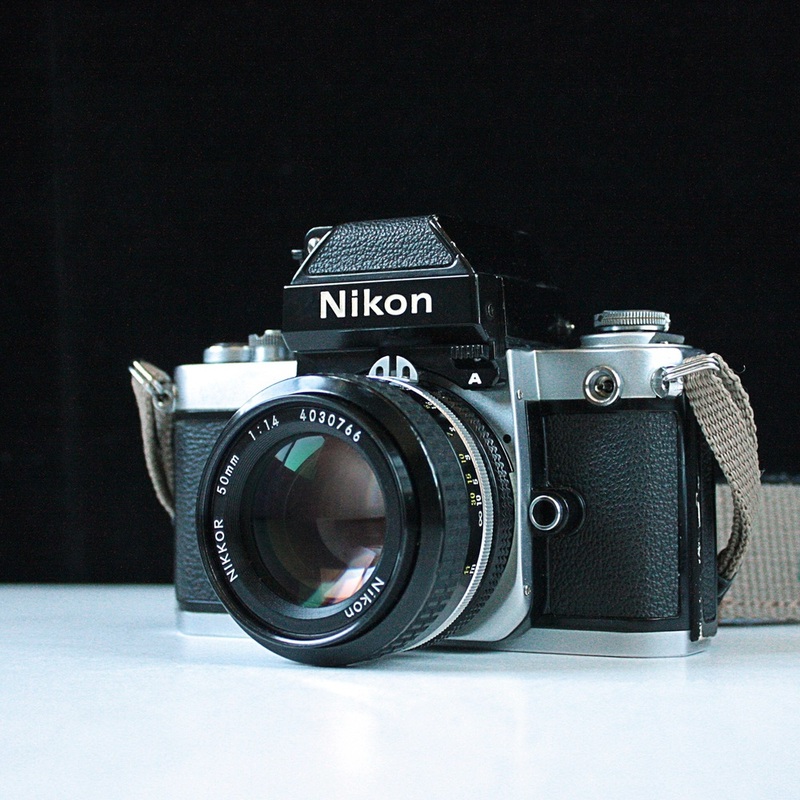 Shown with the Nikkor 50mm 1.4 lens.